Parkinson Voice Advocates is a group of LOUD Crowd® members committed to educating the community about speech disorders associated with Parkinson’s and the services provided through Parkinson Voice Project. 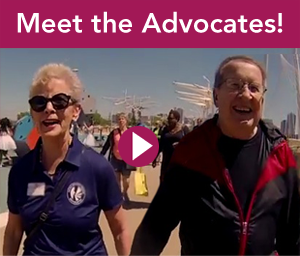 These ambassadors have experienced first-hand the impact that Parkinson’s can have on one’s ability to speak and to swallow, as well as the satisfaction of regaining these skills through SPEAK OUT!® and The LOUD Crowd®. Some of our Parkinson Voice Advocates enjoy speaking to community groups who want to learn more about Parkinson's and Parkinson Voice Project. at your next meeting or social gathering.